While the NBA season is loudly winding down and the European Soccer matches are captivating many sports fan’s attentions (during the work-day), the Major League Baseball season is hitting its stride. It’s the summer so we watch baseball, obviously. While the baseball season is measured by wins, losses, and statistics. This year, much focus has been given to the pitching. In the last month alone, there have been a whole mix of perfect games, complete games, crazy comeback stories, and even a Seattle Mariners combined no-hitter. 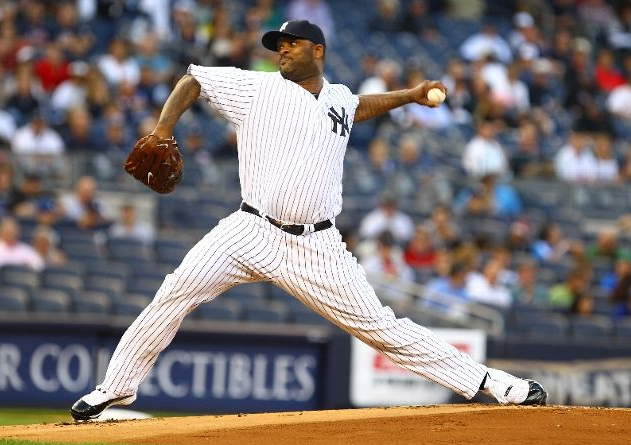 Arguably, the success of a team is heavily measured by their pitching. The pitcher is the guy who really carries his team, and usually dictates the pace and success that the team will have. You can pretty much say that if the pitcher allows some runs, the team is going to have a harder time getting the W. Ultimately, if you have a “perfect” or “almost-perfect” pitcher, you should have a perfect win. Obviously, there are times when a team doesn’t score any runs to insure their pitcher or makes some fielding errors behind him, but if the pitcher was perfect, the team wouldn’t have to do much to help. For the Yankees, its been almost all about the pitching and they have been insuring their pitchers with the perfect amount of hitting every time. Their current winning streak can be attributed to the solid pitching they have been receiving from starting guys like Phil Hughes, CC Sabathia, and Ivan Nova. It’s crazy to think about how people were ready to write off the Yankees when Mariano Rivera came down with his ACL injury just a few months ago. Then, the importance of pitching was not lost on the fans, but thankfully everyone was wrong. Once again, the Yankees have built their starting rotation and bullpen rotation into a powerhouse. Perhaps their streak is so impressive because the Yankees haven’t even scored that many runs. The pitchers have really been outstanding. R.A. Dickey is just another pitching story that is almost too good to be true. With his win vs. the Orioles last night, he becomes the 1st pitcher to throw back-to-back 1 hitters since Dave Stieb in 1988. The 35 year old has really worked his way into this starting spot after starting the season in Triple-A minor league baseball. He has been dominant as of late striking out a myriad of batters and allowing no-earned runs in his last 5 games. 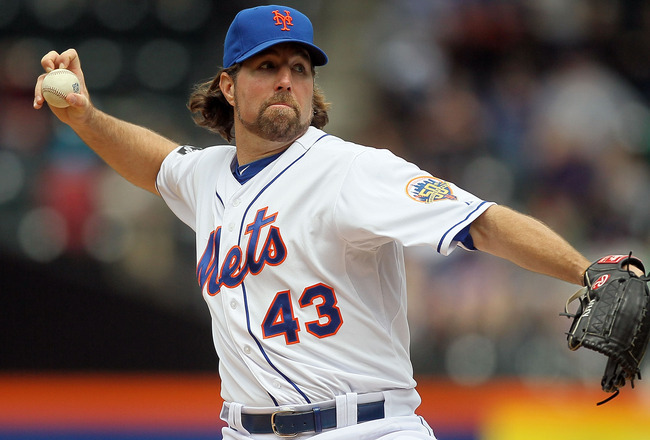 What’s great about Dickey is that he’s helping his team, the New York Mets, a long the way. His Win-Loss record for this season is a solid 11-1. The only loss having come in his first appearance in April. Dickey’s current win streak is remarkable. When the story broke yesterday that Roger Clemens received a not-guilty verdict on all accounts, fans of the game are left to wonder. Clemens is just another example of the importance we attribute to the pitcher. His 24 year career complete with 7 CY Young Awards is a model that pitchers aspire to. No one will really ever know the complete true story and the name “Roger Clemens” will always be tainted but no one can deny the impact that he has had on the game of baseball. I’m glad this story can finally be over because now we can focus all our attention on guys like R.A. Dickey, CC Sabathia, Jered Weaver, and Stephen Strasburg. Thankfully, for Major League Baseball, the Euro 2012 matches are during the day so sports fans really have no excuse. If you didn’t like Major League Baseball last week, you have some new reasons to watch. 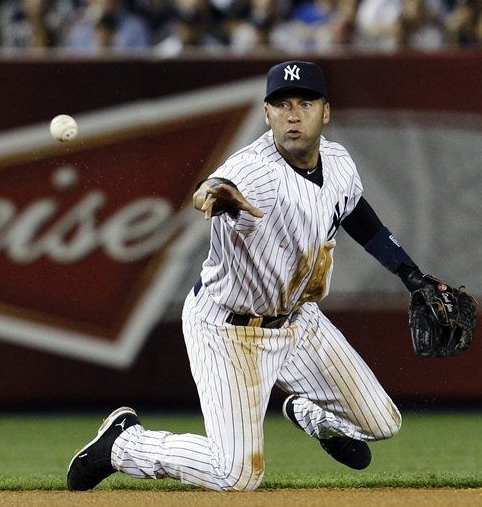 Can the Yankees keep up their win streak? Is R.A. Dickey the real deal? But probably the biggest question is, which teams will rely on their pitchers to get to the postseason and more importantly, which pitchers will show up? Since its really all about the pitchers, your guess is as good as mine. 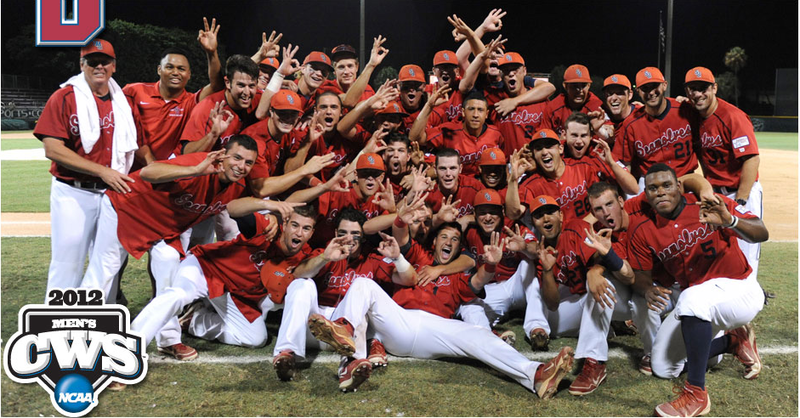 Stony Brook’s NCAA Division I Baseball program has just earned a spot in the 2012 College World Series and what a Cinderella story it is. Stony Brook, a member of the always overlooked America East Conference, becomes just the 1st team from New York to make it to the College World Series since 1980 and doing so after only 12 years as a Division I program. Plus, they took down two powerhouses in the last 2 weeks, Miami and LSU, in their home stadiums. I was immediately drawn to Stony Brook from the moment I saw their 13-inning game that lasted Friday afternoon through Saturday morning. While they didn’t win that game, it was a best of 3 series, and they won the 2 that counted. Last night they beat six-time national champion LSU 7-2. They made it look easy. Stony Brook is led by head coach, Matt Senk, who has been there since 1991. He has taken the program from a Division III baseball program to a team who just made the College World Series. Stony Brook has stars too. They are led by Travis Jankowski, Maxx Tissenbaum, and freshman, Kevin Krause. In fact, one of their star players, Jankowski, was just selected in the Major League Baseball draft with a few other teammates as well. Stony Brook now has the daunting task of trying to be just the 2nd #4 seed to win the College World Series. If there is any team up to the task right now, I would say it is Stony Brook Baseball. They even earned the respect of the over 10,000 LSU fans who showed up to watch their heavily favored LSU Tigers. After the game, the fans stayed around to cheer on Stony Brook and even give the team high fives and hand shakes. Making it to the College Baseball World Series is just another example of how far Stony Brook has come. So if you’re looking for a good sports story right now, look no further then Stony Brook Baseball from Long Island, NY. For many of my readers, that’s right in your backyard. Stony Brook Baseball is shocking the College Baseball World as we speak and hopefully this is just the beginning of their Cinderella story. If you would have asked most hockey fans in September or even in February, which teams would have been in this year’s Stanley Cup Finals, I doubt you would have received today’s answer. Tonight, the puck will drop between the #8 seeded Los Angeles Kings and the #6 seeded New Jersey Devils. Both of these teams have without a question shown that they deserve to be here. The question is, what happens now? The 2012 Stanley Cup Finals feature 2 visibly different teams but if you take a closer look, they might just be a little similar. Goalies. One young and one “old.” These goalies are not as opposite as they seem. They’re both 2 of the best in the NHL this year and their team’s success reflect their greatness. The Kings have Jonathan Quick, a pretty young goalie who has elevated his team’s play this postseason and is only averaging just 1.54 goals allowed. 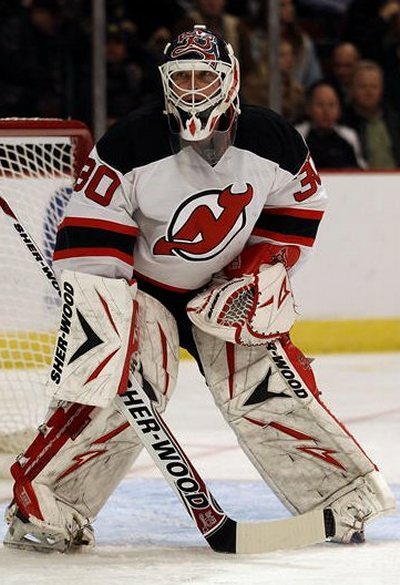 While the Devils have the legend himself, Martin Brodeur. Brodeur is truly the best of the best. If you didn’t believe it when the Rangers/Devils series began, I’m sure you believe it now. Push through the playoffs. When you think about it, both teams have really proved all of the NHL wrong this year. While the Kings are the bigger story having easily plowed their way through the playoffs by beating the top-seeded teams early and quickly, the Devils are pretty much in the same boat. Their series’ might have gone a little longer but they showed that they can beat the best as well. Captains. Dustin Brown. Trade rumors about Brown started in the middle of the season but he has really stepped up his game and proven to be extremely important to the Kings. It really doesn’t look like anyone’s getting traded now. On the other side you have Zach Parise. He is also about to be a free agent and rumors are running rampant. Parise is just another important piece in this Devils team and has shown that each night of the playoffs. While both Brown and Parise want to keep the rumors out of the finals, they also need to play well and be motivators to their teams. Another interesting thing about Browne and Parise, whichever captain wins will be just the second American-born captain to win the Stanley Cup. The Fans. Los Angeles is the city that has always rallied around its sports teams but this time its hockey. Will the LA fans show up and root for their team? Now that the Lakers are out of the playoffs, the Kings are really the next best thing for Los Angeles. And then you have New Jersey. The Devils are really the only professional sports team that New Jersey has left. The fans have been vocal throughout the series with the Rangers and you can bet that they will show all of the state’s support in the finals. Truthfully, I have zero idea who is going to win but I’m a Jersey girl so I’m going with the Devils. With Marty Brodeur on their side, can they really go wrong? No, this title has nothing to do with the NBA or the MLB, believe it or not, it has everything to do with the NHL. And while the New York Rangers and New Jersey Devils are in the midst of a pretty heated Eastern Conference Series, the Los Angeles Kings are just sitting pretty while they wait to see who they will face in the 2012 Stanley Cup Finals. The Kings, a #8 seed in the Stanley Cup Playoffs have proven that they are clearly more than their #8 seed represents. They have knocked off #1 Vancouver, #2 St Louis, and #3 Phoenix. And the thing is, none of these series went to 7 games. In fact, the Kings have made playoff hockey look easy. So while its still to early to look ahead to the Stanley Cup Finals, both NY and NJ fans should be a little wary. The Kings look unstoppable right now and seem to have all the weapons. Great goal-tending mixed with just the right amount of offense and defense. Regardless of who wins this “Battle for Hudson” can either of the teams actually beat the Los Angeles Kings? Solely based on the many playoff series’ of the East and the West I’m going to say that there is definitely more parity in the East and they are definitely on the stronger side of the playoffs this year. However, the Kings are a #8 seed and they beat #1 Vancouver, easily. 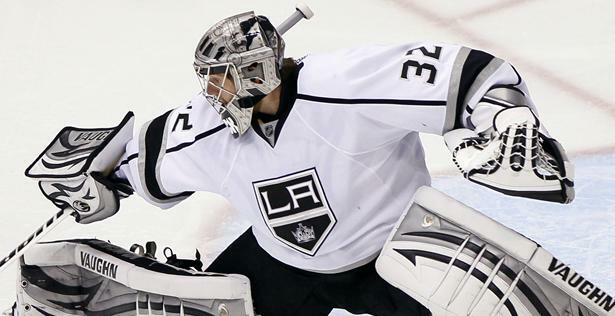 If everyone on the Kings plays well, including all-star goalie, Jonathan Quick, they are unstoppable. The Kings are also averaging 36.3 hits per game and have been able to kill off almost every power play penalty that comes there way. They have also beaten their opponents so easily that they have been well-rested before starting each series and the Stanley Cup Finals will be no different. For now, they can enjoy watching 2 other teams fight it out to earn the right to play against them. Either way, the Stanley Cup Final is most probably going to come down to the goalies. There will be no shortage of comparisons regardless of the opponent and that is for sure. If you want to look at this past season, the Kings and Rangers have only played each other once, and the Devils only twice. All 3 games were in the first 3 weeks of the season. While the Kings beat the Rangers and the Devils beat the Kings, these games have really no indication of who will win now. Being that I am from New Jersey, I will definitely be rooting for whichever team emerges from the East. But honestly, who wouldn’t want to see Los Angeles win? They are already on this improbably run and winning the Stanley Cup would finally earn their team some NHL respect. But, let’s not look ahead anymore because we’ll have plenty of time to preview the 2012 Stanley Cup. 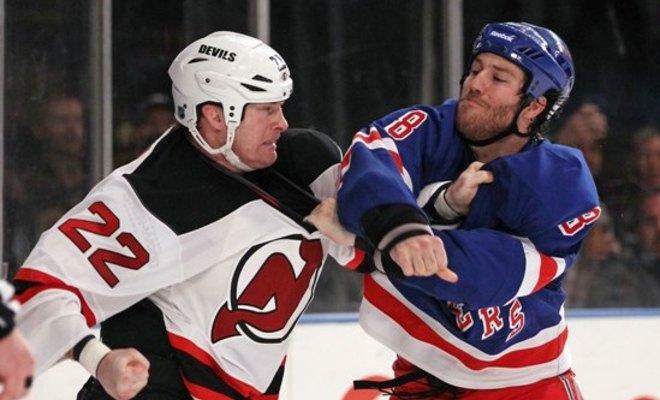 If the Rangers/Devils rivalry is any indication of what is to come, then tonight’s game 6 match-up should be a good one. Here’s hoping it goes to a game 7. Tonight starts the beginning of what could be the best series of the Stanley Cup Playoffs. Call me partial, but being that I’m from New Jersey and root for most New York/New Jersey teams, this is an epic series. Even casual hockey fans in the tri-state area are getting excited about this one. First we have the New York Rangers, they have been the Eastern Conference’s best team all season but have almost let 2 series slip away. Its a tough feat to reach the Stanley Cup Finals after playing in a few 7 game series but they can definitely do it. The New York Rangers have all the right pieces but just need them to click at the same time. Then on the other side of the Hudson River, in the state that only has one real major professional team to call their own, the New Jersey Devils are threatening at just the right time. After pulling upset after upset, the Devils look too good to stop right now. If you ask me, the people of New Jersey need this win for state pride. One of the biggest stories in this series are the goalies. The Devils are anchored by their legend, Martin Brodeur. While Brodeur has been the star for the Devils for nearly 20 years, he is also getting old. No criticism here though, he has shown that he is probably one of the best NHL goalies ever. Plus, the Devils don’t rely on him as much as they used to so when he is performing well its a plus for the Devils. On the other side, Henrik Lundqvist (a personal favorite of mine) is proving he is among the NHL’s elite goalies as well. The Rangers definitely rely on his impeccable ability to catch that puck and if the last 2 series are any indication, Lundqvist can come through in the clutch. Neither team would have this much success if it wasn’t for their other stars as well. The Captain of the Rangers, Ryan Callahan, together with Marian Gaborik, rookie Chris Kreider, and Brad Richards have proved incredibly important in the playoffs. Likewise, the Devils have their Captain, Zach Parise, Ilya Kovalchuk, David Clarkson, and another rookie Adam Henrique who have all proven to be keys to the Devils current success. Both teams are pretty even and I will be shocked if this series goes less than 7 games. But wait, there is more. Aside from the players, there are also the fans. Anyone in New York or New Jersey would probably tell you that hockey fans are pretty much crazy. Take a New York hockey fan and put them in the same room as a New Jersey hockey fan and madness will no doubt ensue. If you are lucky enough to go to one of these playoff games, you should definitely watch your back. Drama seems to always follow New York and New Jersey whenever they meet. The last time they met during the regular season on March 19th, there were 3 fights in the opening minutes of the game. Even the coaches got in on the excitement and exchanged some harsh words for each other. Two months ago, emotions were running high in just a regular season game and there was craziness. And so the drama leading up to this series just keeps building. This almost never happens. The last time both teams faced each other in the Eastern Conference Finals was in 1994. That series also went to 7 games but the Rangers knocked off New Jersey in double overtime. Stephane Matteau was the star for the Rangers that year as they went on to win the Stanley Cup. 1994 was an epic season for the New York Rangers and Martin Brouder and his New Jersey Devils have not forgotten. Here’s the thing about rivalries and battles between teams that are close in proximity, its not like everyone in New Jersey is a Devils fan and that’s probably the part that kills New Jersey the most. In fact there will probably be a large number of blue jerseys at the games in Newark, NJ just because a lot of people in the tri-state area root for New York. If you are a Rangers fan you are loyal to New York and if you are a Devils fan you are loyal to New Jersey. The Rangers and Devils don’t like each other. The fans pretty much hate each other. Sports are about team loyalty and this series will be no different. The pressure is on for both the New York Rangers and the New Jersey Devils. And as a native New Jerseyan I cannot wait. We, the hockey fans of the world are now left to wonder, wait, and watch. Who will be this series’ game changer? What kind of battle will ensue on the ice? Will history repeat itself? and most importantly, which team wins the Battle for the Hudson? A home run in Major League Baseball is a pretty big deal. A few home runs in Major League Baseball is a pretty big deal. Hitting the most home runs in the 2008 Home Run Derby is a pretty big deal. Being the 2010 ALCS MVP is a pretty big deal. It comes as no surprise then, that hitting 4 home runs in one Major League Baseball game is a really big deal. Last night at the historical Camden Yards, in Baltimore, Josh Hamilton of the Texas Rangers hit 4 home runs in a single game and if you didn’t think he made the record books already, he definitely did with that performance. 4 home runs in a game doesn’t happen every day. Hamilton became just the 16th player to hit 4 home runs in a single game. I’m sure if you asked the Baltimore Orioles players and fans what the game was about they wouldn’t tell you the winner or the final score, J0sh Hamilton was the game. Josh Hamilton is really one of those professional athletes who everyone strives to be. Clearly, one of the Most Valuable Players in the MLB right now, he also leads the American league in home runs (10), RBIs (28) and slugging percentage (.691). He really is just that much of a big deal. But, perhaps the best part about Josh Hamilton isn’t even his record setting baseball abilities as it is his life story. Everyone always knew he was good at baseball. Hamilton was the Number 1 overall pick by Tampa Bay in 1999 but wasn’t able to show the world his baseball prowess right away. Hamilton spent a significant amount of years in the minor leagues while battling with a drug and alcohol addiction. 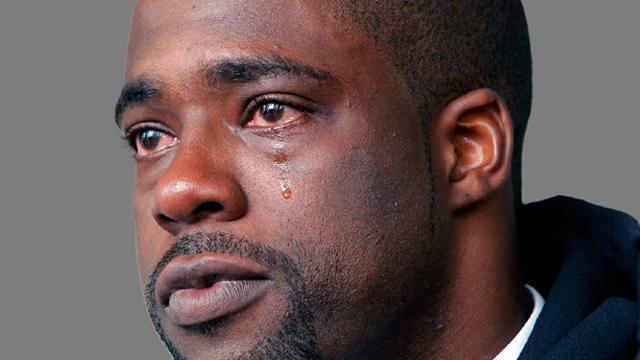 He failed numerous drug tests and lost three years in the minors to drug suspensions. It wasn’t until 2006 that he made a Major League Roster with the Cincinnati Reds. Things still weren’t easy for Hamilton as he was then traded to the Texas Rangers in 2007. 2008 was when the world was really introduced to Josh Hamilton and when he finally got the introduction he truly deserved. A true victim of alcohol and drug addiction, Hamilton doesn’t deny his story and recognizes that its a struggle for him every single day. Despite battling recent injuries, criticism, and drug addiction, Hamilton is the model athlete who also relies on his faith. As a fan of baseball, I am truly happy for guys like Josh Hamilton who have made it this far. Watching him succeed makes me feel like I am successful. What’s so great about Hamilton, is we know he is not taking any performance enhancing drugs or breaking any rules of the game. Josh Hamilton is the reason we love sports. He is another example of the greatness of the game of baseball. Each night, you never really know what is going to happen and Hamilton is that reminder. 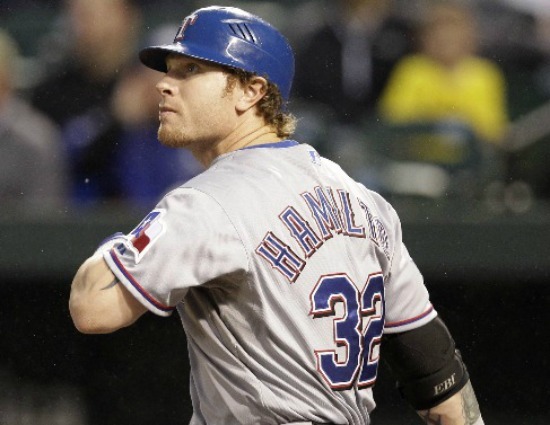 Josh Hamilton is a true athlete who is really just that good.